As operational costs in China continue to rise, an increasing number of companies are looking at either relocating or moving part of their China-based facilities to lower cost markets elsewhere in emerging Asia. This makes sense since China itself is trying to move away from an export-driven economy and into a consumption-driven growth model. Hong Kong or Singapore for Holding Asian Investments? Meanwhile, countries such as Vietnam are actively courting these export businesses through tax incentives and preferential policies similar to those that helped China get to where it is today. India, too, with its abundant, young and inexpensive workforce, coupled with a massive consumer market, is looking strikingly similar to China 20 years back. 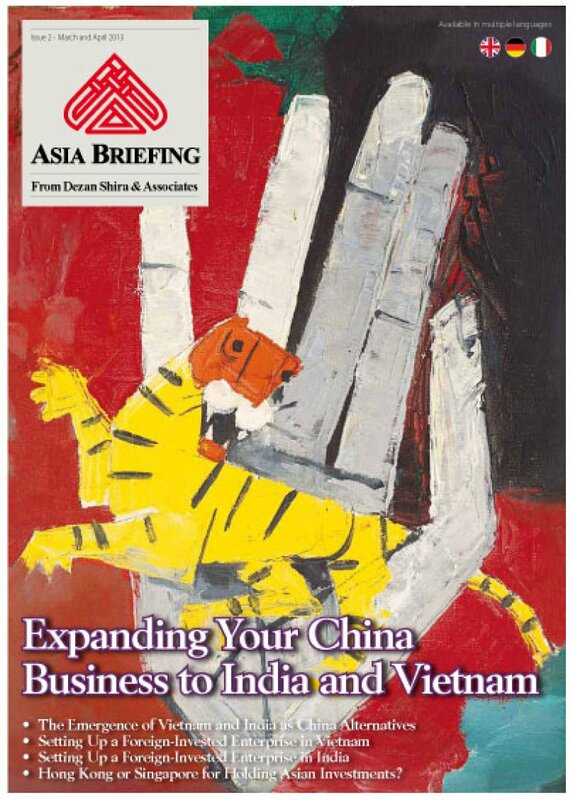 With change comes choice, and the content within this issue of Asia Briefing Magazine will enable the Asia-based executive to begin considering markets beyond China’s borders. The opportunities are there.